Men with small amounts of low grade prostate cancer ( typically Gleason sum 3 + 3 = 6 pattern) may not necessarily need immediate radical treatments of surgery or radiotherapy. This is reasoned by the fact that there are slow growing forms of prostate cancer that may not be dangerous within 10 + years. 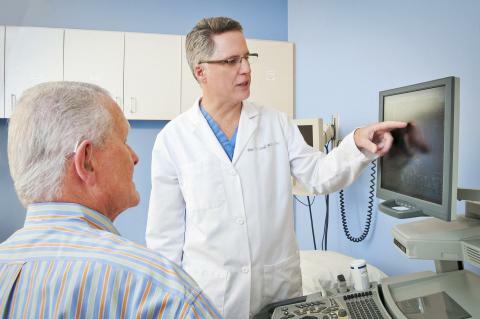 Thus depending on a man's age, his health and co-morbidities, and life expectancy, he may be advised to consider Active Surveillance as one of the options for prostate cancer management. After an initial biopsy showing such cancer that may be suitable for this approach, it is usual to have a repeat selected biopsy in order to rule out any nearby larger of more active ("high grade") cancer, which if present would mandate proceeding to surgery or radiotherapy. Selected men may be advised to have a multiparametric MRI scans on an ongoing basis to check for any other lesions or progression. A man would have to be comfortable with the concept of active surveillance also. After counselling, men who adopt active surveillance are then managed with a PSA blood test each 6 months and rooms consultation with physical rectal examination (DRE). If these are stable, further biopsies or MRIs will be required, and this could be each 2 years depending on the individual circumstances. Up to 30 % of men on active surveillance will eventually need to proceed to radical treatment. It is rare for disease progression or distant cancer spread to occur with proper selection and close monitoring according to the above pathway.